↑ "Celebrity Jews". j. (newspaper). สืบค้นเมื่อ 28 June 2015. ↑ Barnes, Brooks (June 3, 2015). "'Jurassic World' Puts Colin Trevorrow in the Driver's Seat". The New York Times. สืบค้นเมื่อ May 10, 2016. ↑ "Teen Filmmakers" (PDF). Discovery Education. 1994. pp. 6, 11. สืบค้นเมื่อ May 10, 2016. ↑ Sneider, Jeff (February 6, 2012). "Tisch School alum make Sundance impressions". Variety. สืบค้นเมื่อ January 25, 2013. ↑ "Safety Not Guaranteed Reviews". Metacritic. สืบค้นเมื่อ 2013-03-12. ↑ "'Safety Not Guaranteed' Awards". IMDb. สืบค้นเมื่อ 21 October 2016. ↑ Rebecca, Ford (August 15, 2015). "'Star Wars: Episode IX' Sets 'Jurassic World' Director Colin Trevorrow to Helm". The Hollywood Reporter. สืบค้นเมื่อ August 16, 2015. ↑ Chitwood, Adam (January 12, 2016). 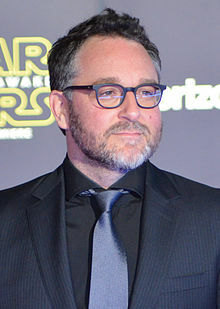 "'Star Wars: Episode IX' Director Colin Trevorrow Promises "Satisfying" Answer to Rey Theories". Collider. สืบค้นเมื่อ January 31, 2016. ↑ "Colin Trevorrow". Independent Spirit Awards. Archived from the original on December 6, 2012. สืบค้นเมื่อ January 25, 2013. ↑ Squires, John (February 21, 2018). "Life Continues to Find a Way as 'Jurassic World 3' is Already Dated for Release!". Bloody Disgusting. สืบค้นเมื่อ March 30, 2018. Variety is reporting that Jurassic World 3, which surely won't actually be the official title, will be hitting theaters on June 11, 2021, three years after Fallen Kingdom. ↑ Stack, Tim. "'Steven Spielberg: Colin Trevorrow will direct third Jurassic World". entertainmentweekly.com. สืบค้นเมื่อ 30 March 2018. หน้านี้แก้ไขล่าสุดเมื่อวันที่ 28 มกราคม 2562 เวลา 12:16 น.